Whether you’re looking for a history of one of the city’s world-class museums or for a fascinating story about Boston’s popular North End, Susan Wilson covers it all in Boston Sites and Insights. Divided into six sections that reflect the diversity of people, activities, and landmarks within the city, this fascinating book leaves no stone unturned. 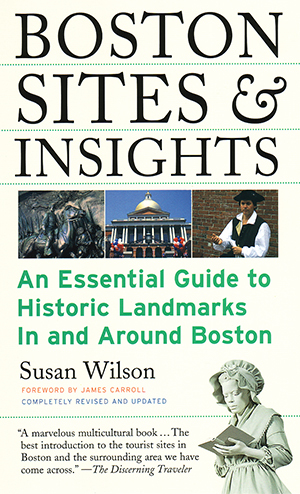 With practical, up-to-date information in an “Essentials” section at the end of each chapter as well as fresh retellings of popular legends and lore, Wilson provides everything the modern visitor or current resident needs to know to enjoy the multicultural city of Boston, Massachusetts.